Anyone can refer a patient for hospice care: a loved one, physician, friend, neighbor, member of the community, or even the patient themselves. Fill out the form to find out more about getting the care you or someone you know needs. 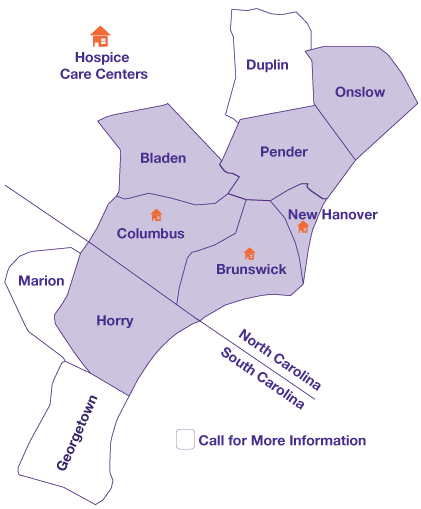 Lower Cape Fear Hospice ranked 92 percent in the category of “willing to recommend this hospice,” as rated by caregivers on a hospice quality survey. The national average is 84 percent. Only 10% of our patients take advantage of the full Medicare hospice benefit which includes ALL medical care, medications, equipment and visits related to diagnosis. To find out if you or someone you love qualifies for hospice, call 800.207.6908 or fill out the form on this page.